Jean-Christophe Rattel, after more than 25 years of hands-on experience in the bike industry, firstly with MBK bikes, then with the long-established Italian bike components brand VETTA, founded Ekoi. 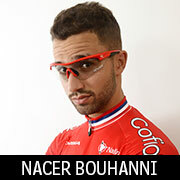 Convinced that, by cutting out the intermediaries, he could provide cyclists with quality products at highly-competitive prices. Since 2001, the Ekoi logo has, similar to our product range, continued to evolve. CYCLING DIFFERENT : Our Identity! You can’t fail to notice the Ekoi style, and some would even say that Ekoi is everywhere, but we at Ekoi want to encourage our fans more and more to create their own designs using the new concept configurators on our internet site. Our very first configurator, that came on line in 2013, was for sports glasses and was visionary (excuse the pun!). It was an immediate success, never before had cyclists had the opportunity to design their own eyewear. This was quickly followed by a configurator for compression socks. 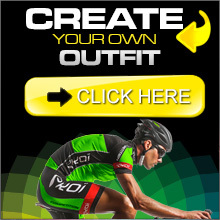 Ekoi, the world’s only true brand, that allows cyclists to customise their gear from head to foot. We at Ekoi permanently strive to develop new ranges and new products. Our very first clients could testify as much. Our current offer is completely different to our very first products and even little similar to those of last year. We are continually investing in research so as to unceasingly improve our product range and satisfy your expectations, plus those of the professional athletes who choose to wear our clothing. Ekoi’s aim is to remain at the forefront of innovation and we are helped, to this end, by the pro cycling, road and cyclo-x, teams who choose to wear our products and who provide such valuable feedback: AG2R LA MONDIALE / QUICK STEP / ROOMPOT / TEAM KMC EKOI. And the numerous triathletes who trust our products: Alistair & Jonny BROWNLEE (Alistair is the current Olympic, European and Commonwealth triathlon champion; and Jonny the Olympic bronze medal winner as well as being the most consistent triathlete ever), Marino VANHOENACKER (winner of Brazil and Austria IRONMAN 2015), and finally, Bertrand BILLARD, the 2013 & 2014 world long-distance champion. Ekoi is present on both Twitter and Facebook. We are fortunate in that we have a strong following of 40,000 fans on Facebook who remain active in supporting us for over several years. Ekoi is an official partner of the Tour of Flanders and Liege Bastogne helmet Liège. This PASSION for cycling, for triathlon and for our products, plus your expectations and the sporting challenges you set yourselves and the demands of our sponsored athletes is reflected in everything we do, and stand for, at Ekoi: our philosophy, the way we conduct our business, the ready availability of our advisors to answer your questions and to satisfy your expectations, (telephone, mail, chat) and most importantly in the quality of our products. We are as good as our products. The internet is our primary means of maintaining the contact with you, our customers. The internet team at Ekoi has an enormous responsibility, on their shoulders the task of regularly updating and improving our secure site, which is the 3rd generation of our very first site. Our internet site allows us to reply to your expectations 24/7. The Ekoi brand is one of the leading brands in France for cycling and triathlon wear and accessories. A survey in the specialist "Triathlète" magazine placed us as the leader in France for triathlon apparel and joint first place with Oakley for eyewear. We were also noted as the leader for cycling helmets for triathletes, and this, ahead, even of the globally-known brand, Giro. Our brand reputation extends well beyond the French border and each year we supply more and more customers in other EU countries. You, our customers, are our "raison d’être", we never forget that Ekoi earnt its reputation thanks to you, who, in choosing to wear our products, have become our most important ambassadors. Its thanks to you that Ekoi exists. We are TRULY humbled. Thank you for your loyalty, we look forward to seeing you soon, out on the road!